Game marks Alex Galchenyuk’s first game in Montreal since he was traded to the Coyotes for Max Domi last summer. The matchup: The Canadiens have struggled at home this season with a 13-10-2 record after a disappointing loss to the Philadelphia Flyers Saturday. There’s no reason why they shouldn’t be going all out for this game because they’re looking at a long rest period. The entire league will get time off for the all-star break — there are no Canadiens going to the game — and Montreal is also getting its bye week, which means the Canadiens don’t play again until Super Bowl weekend. Arizona is on the second half of a back-to-back set after beating Ottawa 3-2 Tuesday night. Julien takes over power play: Head coach Claude Julien took things in his own hands Tuesday as he accepted responsibility for the power play, a job that had been shared by associate coach Kirk Muller and assistant coach Dominique Ducharme. Julien had Shea Weber and Jonathan Drouin on the points with Joel Armia, Jesperi Kotkaniemi and Tomas Tatar up front, while the second unit had Mike Reilly and Jeff Petry with Charles Hudon, Max Domi and Brendan Gallagher. 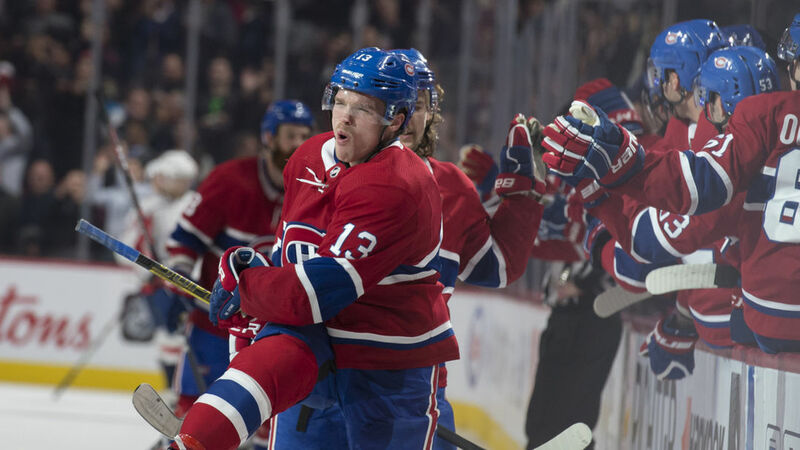 The Canadiens have the worst power play in the league with a success rate of 12.6 per cent. Hudon faces a test: Charles Hudon is filling in for Paul Byron, whose three-game suspension ends with this game. Hudon may be running out of chances to prove he has a future with the Canadiens. The 24-year-old forward was on a line with Jesperi Kotkaniemi and Joel Armia in Saturday’s loss and he said it might have been his best chance to show what he can do. Hudon was on the ice for a shade over 15 minutes and had three shots on goal and a couple of hits. The bottom line is that he didn’t collect any points and was a minus-1. Evaluating the trade: This game marks Alex Galchenyuk’s first game in Montreal since he was traded to the Coyotes for Max Domi last summer. It’s safe to say that Domi has benefited more from the change of scenery. He has given the Canadiens a reliable centre and he leads the team in scoring with 44 points, including 16 goals, in 50 games. Galchenyuk’s transition was slowed by injuries and he has eight goals and 25 points in 38 games. It didn’t take long for the Coyotes to determine Galchenyuk is not a centre and he has settled in as a third-line winger. The other guys: The Coyotes rank 28th in offence with an average of 2.63 goals a game. Clayton Keller is the team’s leading scorer with 34 points, including 11 goals, which ties him for the team lead with Brad Richardson and Christian Fischer. The defence ranks 22nd, with Darcy Kuemper carrying the load after Antti Raanta was sidelined with a lower-body injury. There is one thing the Coyotes do very well and it’s not good news for Julien’s revamped power play. Arizona has the best penalty-killing unit in the NHL, with a success rate of 87.2 per cent.